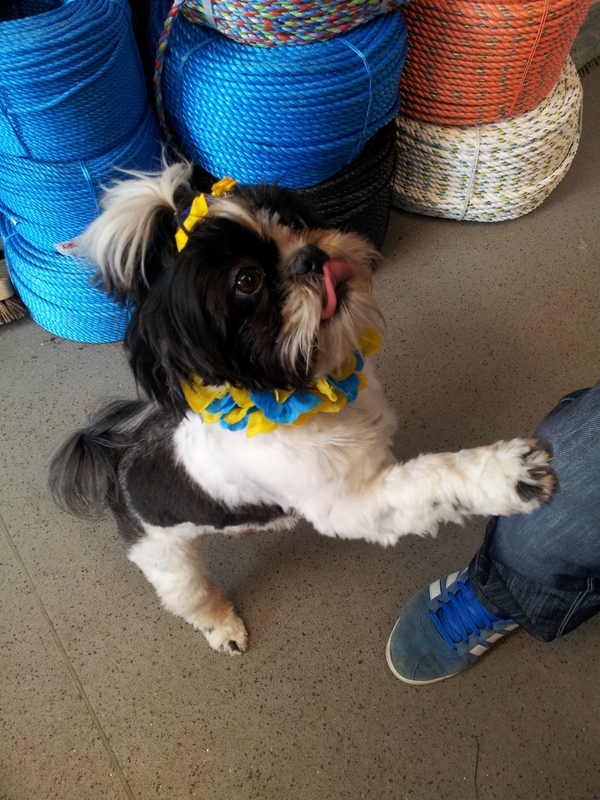 Bella visited my office this morning to show that she was looking her best for the Tour de Yorkshire. It was great to everyone out supporting the event. 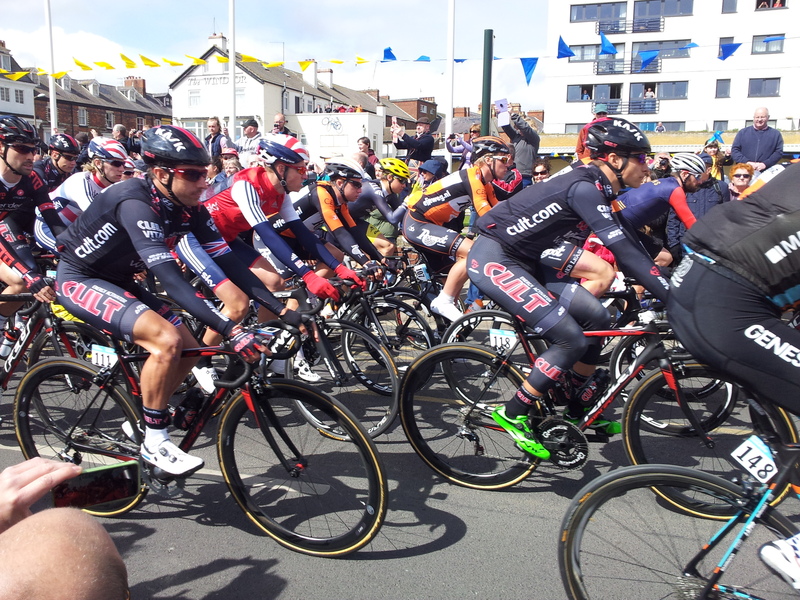 The harbour top saw action today with the ceremonial start of the Tour de Yorkshire passing by late morning. 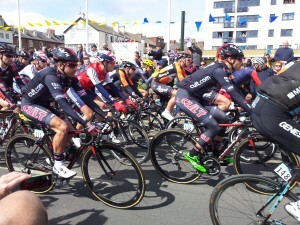 Sir Bradley Wiggins is just visible back right among his fellow riders. Good luck to all.